Experience premium hotel rooms and spacious meeting facilities at Red Lion, the premier choice among Atlanta airport hotels. We feature complimentary premium airport shuttle service, a deluxe complimentary continental breakfast served daily and easy access to all that is downtown Atlanta. Enjoy comfortable hotel room beds and spacious accommodations just minutes from Hartsfield-Jackson International Airport. Our onsite La Fiesta landmark restaurant serves lunch and dinner daily with classic, authentic Mexican-style dishes including full beverage service. Complimentary onsite Atlanta airport shuttle service also includes local transportation pickup and drop-off including College Park and MARTA light rail stations. We offer over 3200 square feet of flexible airport meeting and event space. Our Dogwood Ballroom allows for multiple configurations including meeting and banquet setups. With double french doors opening to the pool courtyard, our premium airport meeting facilities cater to your specific needs. We can also accommodate outside catering and can offer premium audio/video services upon request. The Red Lion Hotel Atlanta Airport provides business travelers and families a variety of premium Atlanta hotel amenities designed to fill their trip to our Atlanta, GA hotel with rest and relaxation. Guests receive free shuttle to/from Hartsfield-Jackson Atlanta International Airport (ATL) and the MARTA station, complimentary Wi-Fi, access to our fitness center & outdoor pool, free breakfast and more. It’s easier than ever to park, ride, and fly from Hartsfield–Jackson Atlanta International Airport (ATL) when you stay at Red Lion Hotel Atlanta Airport. Located just minutes from the airport, Red Lion Atlanta offers fly-in guests convenient parking packages for stays of any length, making it simple and stress-free to access your car and the airport while saving on parking rates. Simply book the Atlanta Airport Park & Fly Package to receive comfortable accommodations near Hartsfield–Jackson Airport, leave your car at Red Lion, and get a ride to your flight using our convenient airport shuttle service. As one of the newest Atlanta Airport hotels, Red Lion Atlanta understands the stress that comes with trying to make your flight on time. Leave the stressing to us as you enjoy our complimentary Atlanta airport shuttle. Take the worry out of travel when you stay at Red Lion Atlanta. Our complimentary hotel shuttle to ATL International Airport and the MARTA makes trips seamless. Simply get in, and pull up to the doors of your terminal, saving time and energy. Getting around has never been more convenient. 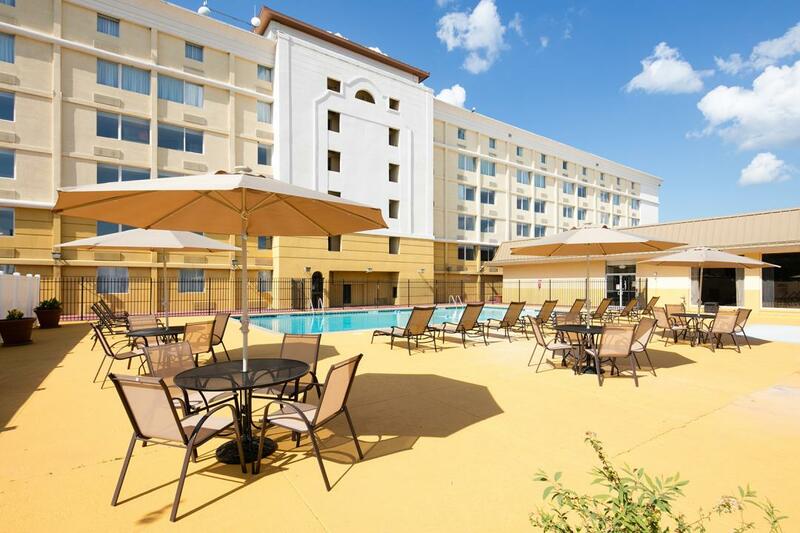 Take a dive and refresh your stay at Red Lion Hotel Atlanta Airport at our spacious outdoor swimming pool. Featuring a relaxing atmosphere lined with lounge chairs, dining tables, and umbrellas, the pool area is a perfect place to unwind. 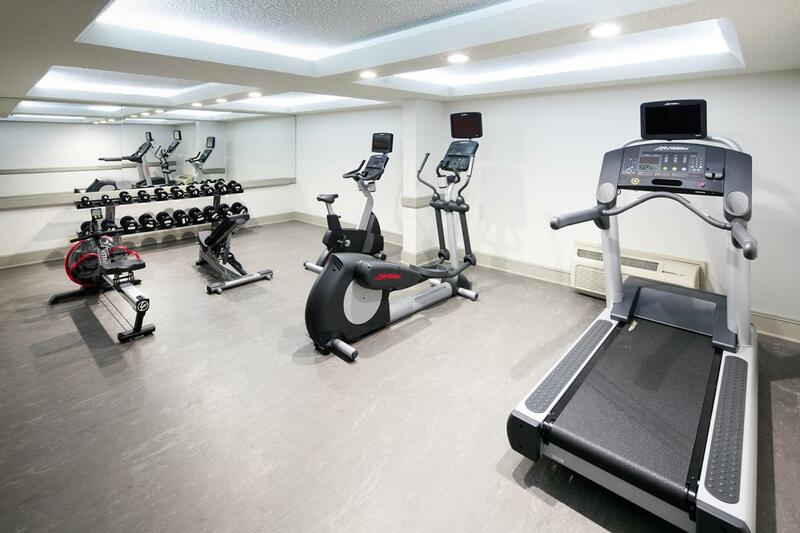 Swim laps, splash around, or cool down following a workout in our fitness center. Our Atlanta hotel pool is open seasonally and especially refreshing on hot Atlanta summer days. Please Note Our Seasonal Pool is Currently Closed. Discover all the varieties of dining in Atlanta, ranging from regional fare to international cuisine. Located outside of Downtown Atlanta, Red Lion Hotel Atlanta Airport gives you access to all the best choices, no matter what your tastes. From savory offerings at steakhouses to fresh-caught seafood to authentic Mexican food, your options for dining during your stay are endless. La Fiesta Mexican Restaurant - An Established Local Favorite for over 20 years and where our hotel guests receive a 10% discount. We offer a deluxe continental breakfast for all guests and a landmark Mexican Restaurant - La Fiesta - serving classic Mexican style dishes with full beverage service available. Serving Breakfast, Lunch & Dinner Modest BBQ joint known for simple Southern cooking, including all-day breakfasts. Wood-paneled restaurant with red leather booths offering a large menu of basic Chinese dishes. A quaint British-style pub located in a brick house with a patio, serving pints & hearty bar fare. Steak, ribs & seafood (plus large brew list) in casual setting near airport with outdoor seating. Serving fine, locally-sourced regional cuisine. Complete with the best burgers in town plus a spacious patio. Atlanta's world famous seafood and steaks in a classic haunt. Rib-sticking Southern cuisine in relaxed surroundings. Mouthwatering pizzas in an enticing central location. At Red Lion Hotel Atlanta Airport, we make every effort to ensure your visit is as comfortable and convenient as possible. To that end, we proudly offer complimentary breakfast every day of the week. 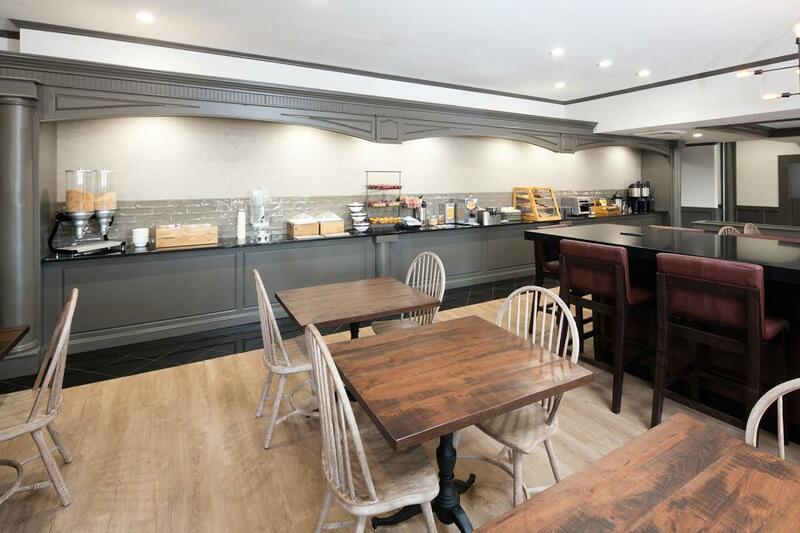 Our deluxe Atlanta hotel breakfast includes cereal, pastries, yogurt, bread, fruit, juice, coffee and more to help you fuel up for your next adventure. 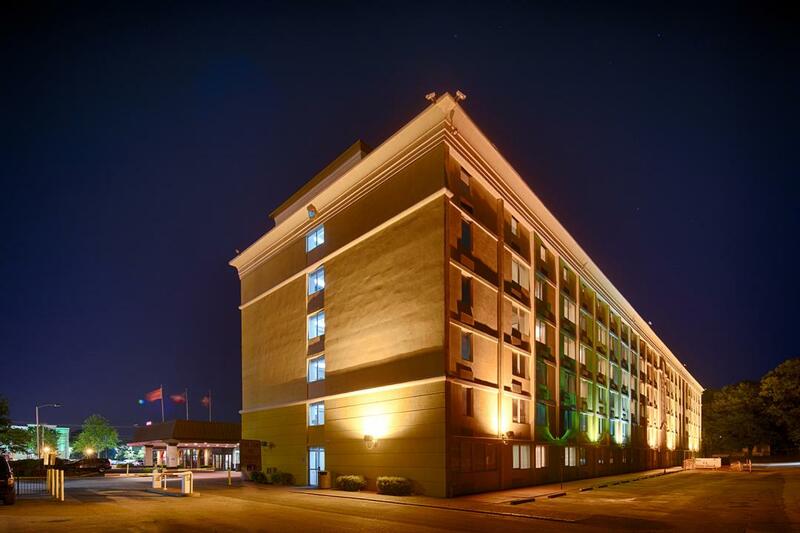 Located at the Hartsfield-Jackson Atlanta International Airport and less than 10 minutes from downtown Atlanta, the Red Lion Hotel Atlanta Airport offers a central location for Atlanta events of all kinds. With a dedicated staff and amenities that anticipate your needs, as well as over 4,000 square feet of flexible Atlanta meeting and event space, Red Lion Hotel Atlanta Airport is an ideal choice for conferences, meetings, weddings and more. Choose from one of three rooms to host your next Atlanta event in, including our Sweet Auburn District that accommodates 150 guests with beautiful double French doors opening onto our beautiful outside pool courtyard. To find out more about our meeting and event facilities in Atlanta or to speak with one of our event planners, contact us at (404) 400-5900 or send us an email. Red Lion Hotel Atlanta Airport recognizes the hard work that local, state and federal government employees provide. As our way of saying Thank You - we are offering the per diem government traveler rate. Red Lion Hotel Atlanta Airport is an ideal location to rest and recharge - located minutes from Atlanta International Airport. For the best government discounts on Atlanta Airport hotels, look no further. Need a block of guest rooms? If your agency is traveling as a group contact our Sales Team at (404) 400-5900 today. Terms: Guest must have valid government ID at check in. Active duty/retired military personnel, federal, state & local government, cost contractors, the staff of public schools, colleges and universities and employees of foreign governments are eligible for the per diem rates. Red Lion Hotel Atlanta Airport offers flexible space for meetings and events. With over 4,000 square feet of meeting space, we can customize to your needs in one of our four meeting and event spaces. Please contact the hotel to inquire about meeting rooms and group travel packages at (404)632-1801, contact us via email or RFP. 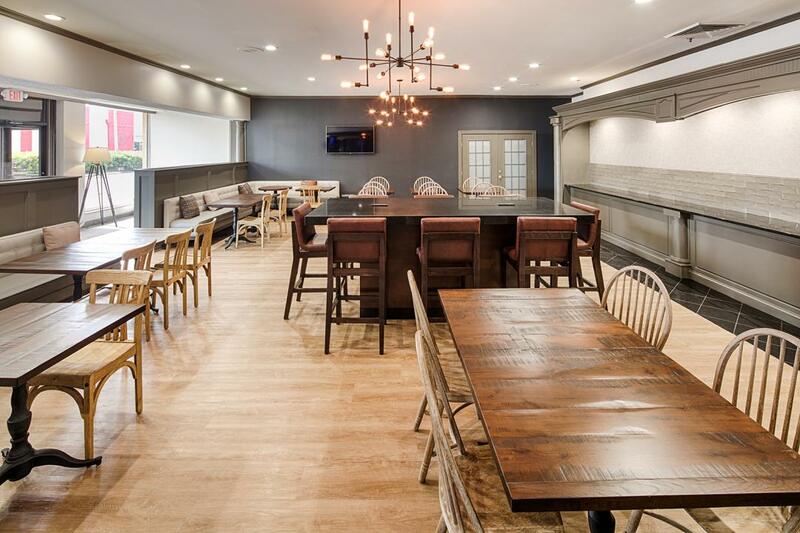 An ideal home base for sports fanatics, Red Lion Hotel Atlanta Airport offers Atlanta group accommodations for teams and guests in town for the big match. From soccer, hockey, and football games, to baseball, softball and beyond, our travel options for collegiate, club and Atlanta youth sports are sure to be a home run with your group. Please contact the hotel to inquire about sports and group travel packages at (404)632-1801. In an international city, the possibilities are everlasting. Atlanta is no exception. 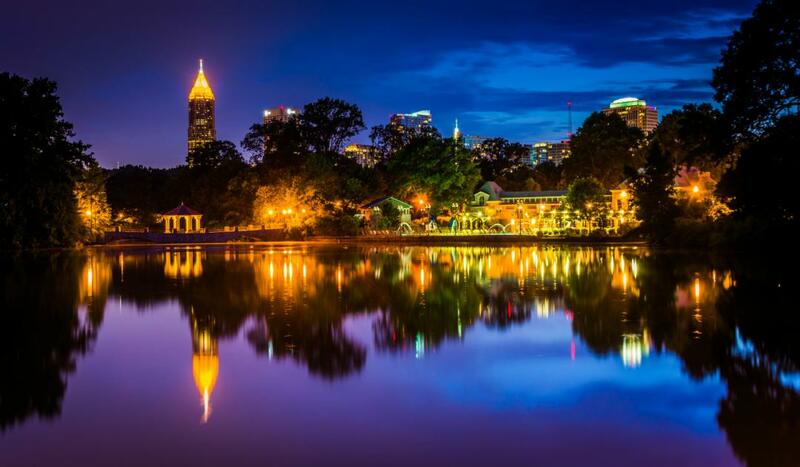 No matter how long you'll be staying at our Atlanta airport accommodations, the chance to experience the best Atlanta attractions--including culture, sports, history and art--make this one of the top destinations for travelers from around the world. Head to a world-famous course nearby for the best Atlanta golfing; take in a summer concert at Lakewood Amphitheater or learn about the life of one of America's most pivotal historical figures at the Martin Luther King Jr. National Historic Site. 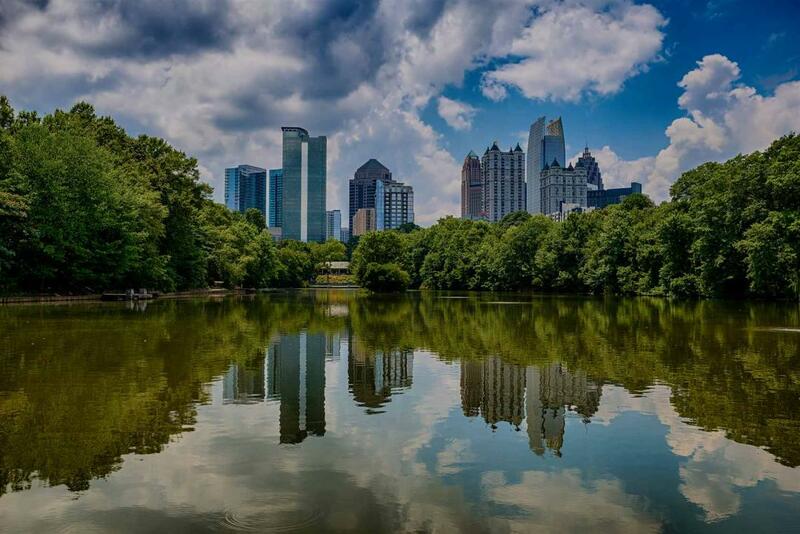 Use our Atlanta travel guide to decide how you'll experience one of the best cities in the United States. Alliance Theatre,1280 Peachtree St NE, Atlanta, GA 30309, (404) 733-4650 Located 11.8 miles from the hotel. Rialto Center for the Arts, 80 Forsyth St NW, Atlanta, GA 30303, (404) 413-9849 Located 9.2 miles from the hotel. Clayton State Theatre, 2000 Clayton State Boulevard, Morrow, GA 30260, (678) 466-4000 Located 11.2 miles from the hotel. Kenny Leon True Colors Theatre Southwest Arts Center, 915 New Hope Road, Atlanta, GA 30331, 1-877-725-8849 Located 14.9 miles from the hotel. College Park Municipal Golf Course, 3711 Fairway Drive 404-344-1334 (Distance 2.2 miles) College Park Municipal Golf Course is a nine-hole course located, approximately one mile from Hartsfield-Jackson Airport. Wolf Creek Golf Course, 3000 Union Road SW 404-344-1334 (Distance 10.7 miles) Since 2001 Wolf Creek has earned a reputation as one of the toughest golf tracks in the Atlanta Metro area. The course is located just 10 minutes from Hartsfield-Jackson International Airport. Bobby Jones Golf Course, 384 Woodward Way NW 404-355-1009 (Distance 14.4 miles) Atlanta’s first 18-hole public facility was built in 1932 as a tribute to Robert Tyre “Bobby” Jones, Jr. Bobby Jones Golf course presents elevated tees with scenic views of the midtown Atlanta skyline. Atlanta is a hub of film production. Come visit these studios and take a tour during your stay with us. Raleigh Studios - Atlanta - offers many services at their studio including four sound stages, screening room, production office, a production town that has been used as a location for over 20 film and TV productions from chic Hollywood locations to a charming location similar to Savannah. For more information call the studio at 770.559.4000. Tyler Perry Studios is a one of a kind production facility right here in Atlanta Georgia, Tyler Pery is a producer, director, actor, screenwriter, playwright, author, songwriter, entrepreneur, and philanthropist. Eue/Screen Gems LTD has 10 stages on a 33-acre studio complex in Atlanta, only 10 minutes from Hartsfield-Jackson Atlanta Airport. The studio has hosted over 30 television shows and feature films since they opened in 2010. For more information call 404.333.6506. Atlanta Filmworks Studio & Stages a great convenient location in Atlanta with many different filming and production options available. For more information call 404.630.0508. Fernbank Museum of Natural History, 767 Clifton Rd NE, Atlanta, GA 30307 (404) 929-6300 Located 12.5 miles from the hotel. Atlanta History Center, 130 W Paces Ferry Rd NW, Atlanta, GA 30305 (404) 814-4000 Located 16.4 miles from the hotel. Margaret Mitchell House & Museum, 990 Peachtree St NE, Atlanta, GA 30309 (404) 249-7015 Located 11 miles from the hotel. National Archives at Atlanta 5780 Jonesboro Rd, Morrow, GA 30260 (770) 968-2100 Located 12 miles from the hotel. Center for Civil and Human Rights 100 Ivan Allen Jr NW Blvd, Atlanta, GA 30313 (678) 999-8990 Located 10.3 miles from the hotel. 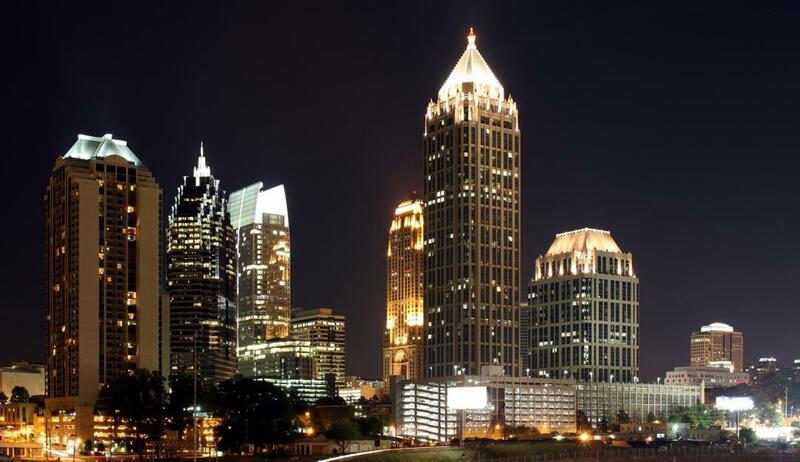 Atlanta, Georgia is home to country's best colleges and universities. We're conveniently located at the Hartsfield-Jackson Atlanta International Aiport to help make your trip as hassle-free as possible. Whether you're in Atlanta to tour the local universities, visit your beloved student or celebrating graduation, our Atlanta hotel offers a great location and many amenities to make your trip a memorable one. College Football Hall of Fame, 250 Marietta St NW, Atlanta, GA 30313 (404) 880-4800 Located 10.7 miles from the hotel. World of Coca-Cola, 121 Baker St NW, Atlanta, GA 30313 (404) 676-5151 Located 10.7 miles from the hotel. CNN Center CNN Center, Atlanta, GA 30303 (404) 827-2300 Located 10.7 miles from the hotel. Centennial Olympic Park, 265 Park Ave W NW, Atlanta, GA 30313 (404) 222-7275 Located 10.7 miles from the hotel. Center for Puppetry Arts, 1404 Spring St NW, Atlanta, GA 30309 (404) 873-3089 Located 13 miles from the hotel. Fun Junction, 1675 Hwy 85N, Fayetteville, GA 30214 (770) 460-5862 Located 15 miles from the hotel. Six Flags White Water, 250 Cobb Pkwy N, Marietta, GA 30062 (770) 424-9283 Located 26.3 miles from the hotel. 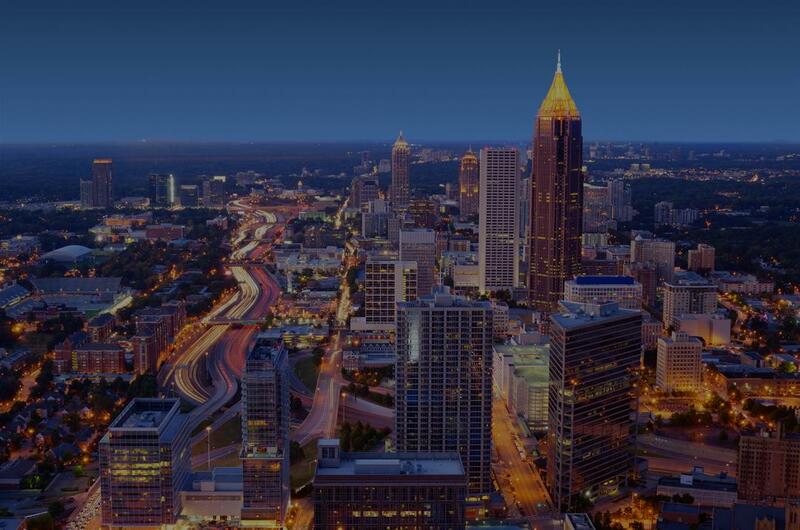 Skyview Atlanta, 168 Luckie St NW, Atlanta, GA 30303 (678) 949-9023 Located 10.8 miles from the hotel. 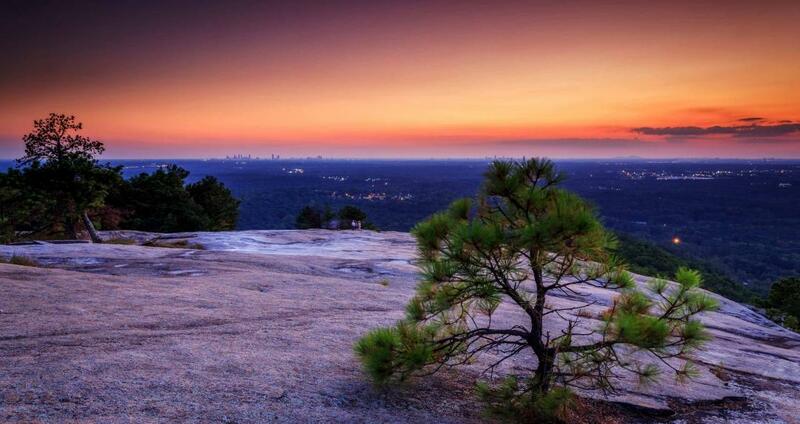 Stone Mountain Park, 1000 Robert E Lee Blvd, Stone Mountain, GA 30083 (800) 401-2407 Located 30 miles from the hotel. The Georgia Soccer Park is the premier sports complex in the Southeast and one of the favorite places to host a sports event. The Georgia Sports Park is a privately owned sports field, conveniently located less than 10 minutes from the Atlanta Airport. Georgia has a rich history and its capital city features plenty of sites to satisfy the interests of history buffs. Read on to learn more about several historic places in Atlanta that offer an eye-opening glimpse into the past. These Atlanta historic sites are within easy access of our accommodations. Located in the Buckhead district, this museum and research center features award-winning exhibitions and a variety of special programs. The permanent collection includes Turning Point: The American Civil War; Shaping Traditions: Folk Arts in a Changing South; Mandarin Shutze: A Chinese Export Life; and Down the Fairway with Bobby Jones. Author lectures, theatre programs, and family activities are also hosted at the museum. High Museum of Art in Atlanta is one of the leading art museums in the Southeast United States. Visitors are immediately captivated by the award-winning architecture by Richard Meier and Renzo Piano—and that’s before stepping into the building. The expansive interior collection features modern and contemporary art, photography, folk art, and more across over 15,000 pieces. The property also offers family programs, a gift shop, and on-site dining options. This 35-acre historic site in Atlanta consists of several buildings that played a role in the life of Martin Luther King, Jr and the American Civil Rights Movement. Start at the Visitors Center for a comprehensive overview of the facilities located within the park, including the DREAM Gallery, the BEHOLD Monument, and the “I Have A Dream” World Peace Rose Garden. Trip itineraries are available on the National Park Service website to help plan your visit. Located a half hour outside Atlanta, this massive 3,200-acre park is popular for outdoor recreation, including fishing, hiking, and golfing. However, there are also several historic sites and educational facilities located within the borders of the park. Explore the interactive exhibition space at the Confederate Hall Historical & Environmental Education Center, or head to the Carillion—originally displayed at the 1964 World’s Fair—for a live performance. Lakewood Amphitheater (formerly named Aaron’s Amphitheatre at Lakewood) offers some of the finest musical performance acts in the country. The 4,000 seat amphitheater spans 75 beautiful, acres, located approximately 3.8 miles south of downtown Atlanta and 4.7 miles from the Red Lion Atlanta Airport. Located five miles from Atlanta's Hartsfield-Jackson International Airport, Camp Creek Marketplace is an outdoor shopping center that contains a variety of stores aimed largely at the budget-conscious shopper, restaurants and the AMC Camp Creek 14 Movieplex. Fayetteville Pavilion, Fayetteville Georgia. Located 15 miles south from Atlanta’s Hartsfield –Jackson International Airport, the Fayetteville Pavilion is an outdoor shopping center with a variety of retail establishments, restaurants, supermarkets and the Cinemark Tinseltown 17 Movie Theater. Lenox Square Shopping Mall, located in the Buckhead area of Atlanta Georgia, the Lenox Square Shopping Mall is the premier shopping destination for fashionistas throughout the Southeast. The impressive two-story glass facade welcomes shoppers to three full-service restaurants and features nearly 250 specialty stores like FENDI, Louis Vuitton, Bloomingdale's, Neiman Marcus and Macy's. Philips Arena holds an array of events all year long. The arena is the current home to the Atlanta Hawks, and our hotel near Philips Arena makes it easy to see games and events. You can also enjoy the many nearby attractions, including the College Football Hall of Fame, Georgia World Congress Center, CNN Studio Tours, Georgia Dome, Georgia Aquarium, World of Coca-Cola, and many restaurants and shopping destinations. Red Lion Hotel Atlanta Airport is conveniently located 17 short miles south of Philips Arena off I-85 across the street from Hartsfield-Jackson Atlanta International Airport. Ron Clark Academy located about 8 miles from Hartsfield-Jackson Atlanta International Airport. The Ron Clark Academy is a widely-acclaimed, nonprofit middle school located in Southeast Atlanta. Ron Clark Academy has received global recognition for its innovative academic program to 5th to 8th grade students from Metro Atlanta. When visiting one of the most ground-breaking schools in the United States, we invite you to stay with us at our hotel near Ron Clark Academy, just minutes from the main campus. The Scott Antique Market, named the world's largest indoor antique market, is held the second weekend of each month with the exception of January and February at the Atlanta Expo Center. Visit this Atlanta antique market with more than 3,500 exhibitor booths filled with vendors from around the globe. SunTrust Park holds an array of events all year long. The Park is the home to the Atlanta Braves, and our hotel near SunTrust Park makes it easy to see games and events. You can also enjoy the many nearby attractions, including the College Football Hall of Fame, Georgia World Congress Center, CNN Studio Tours, Georgia Dome, Georgia Aquarium, World of Coca-Cola, and many restaurants and shopping destinations. Red Lion Hotel Atlanta Airport is conveniently located 20 miles south of SunTrust Park off I-85 across the street from Hartsfield-Jackson Atlanta International Airport. Red Lion Atlanta Airport is proud to call the world renowned Woodward Academy our neighbor. Woodward Academy is only a short 4-minute drive or 15-minute walk from our hotel. Woodward Academy offers academic excellence, wonderful student life, the arts, athletic teams, service opportunities, leadership opportunities and character building for their students. When visiting the oldest independent school in Atlanta and the largest in the continental United States we invite you to stay with us at our hotel near Woodward Academy. The beloved Coca-Cola Polar Bear greets guests at this unique museum dedicated to one of the planet’s most popular beverages. World of Coca-Cola is located within driving distance of Red Lion Hotel Atlanta Airport and is a fun-filled place to bring the whole family. In addition to tasting different Coca-Cola Company drinks from around the world, kids and adults can explore exhibits, watch informative films, and even see the bottling process in action. Learn more about the history of Coca-Cola and the brand’s super-secret recipe in The Vault, which offers a multimedia experience with hands-on activities. Meanwhile, catch a glimpse into the company’s global initiatives at the Coco-Cola Wall. Pick up a gift for the soda lover in your life (or yourself) at the museum’s Coca-Cola Store. This shop is packed with clothing, accessories, and other branded items. Hours of operation may vary; check the calendar for updates. Tickets can be purchased online or by phone.